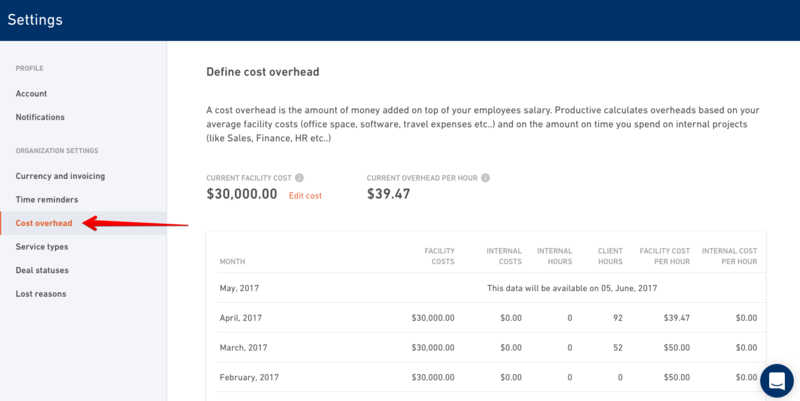 Add your company cost overhead to make sure it gets included in the profitability reports. 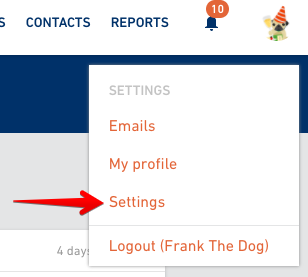 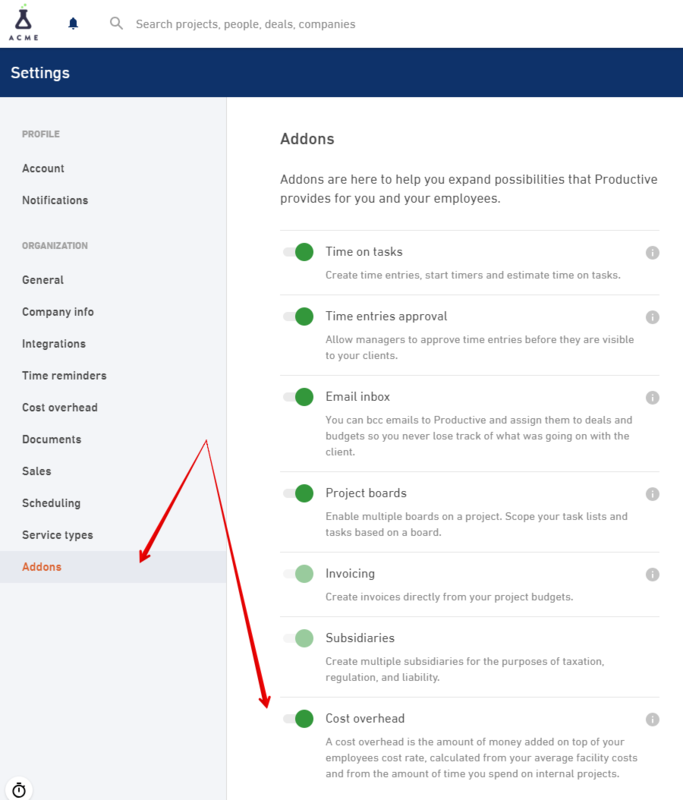 If you want to turn on Cost overhead, go to Settings > Addons and turn on Cost overhead. 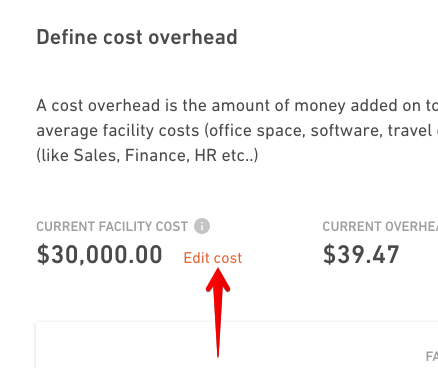 Click on the Edit cost link, put down the amount you spend monthly on facility costs and Productive will calculate the rest.